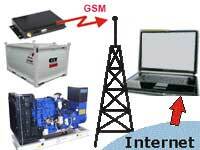 transmitting data by GSM/GPRS network. WEB monitoring service (or Monitoring Station: PC with monitoring software and connection to Internet. PC must have it own IP address in Internet). GuardMagic FSM: universal module for remote monitoring stationary objects. GuardMagic FSM module collect information from Fuel sensor (sensors) and other sensors and send this information to monitoring station. 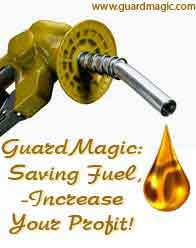 Guardmagic FSL: module for remote monitoring fuel level in stationary tanks. 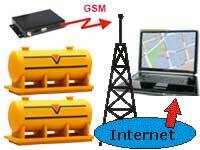 GuardMagic FSL module collect information from Fuel sensor (sensors) and send this information to monitoring station. 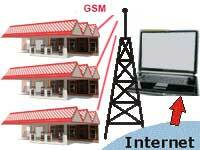 Communication network (GSM/GPRS + Internet) Communication channel for the sending information from module to "Monitoring Station" (Personal Computer). Monitoring Station consist of personal computer and special monitoring software. Personal Computer have to be connect to internet and have the own fix IP address. 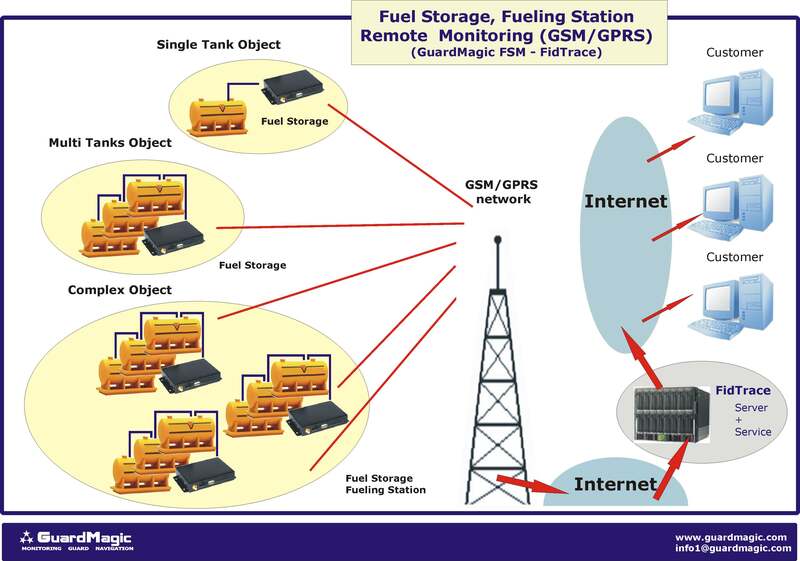 Monitoring station collect the fuel data (and other additional information) from Fuel Storage Monitoring module, store this data in PC hard drive, make analyzing of this data and generate the special reports. Fuel level sensor make measurement of fuel level in fuel tank and send this information to GuardMagic Fuel Storage Monitoring module (GuardMagic FSM, GuardMagic FSL). It can be GuardMagic DLLS , DLLE series fuel level sensor with EIA-485 communication protocol (or the other similar sensor with the same communication protocol). For connection module to sensors in additional will be need connection cable and/or wires.